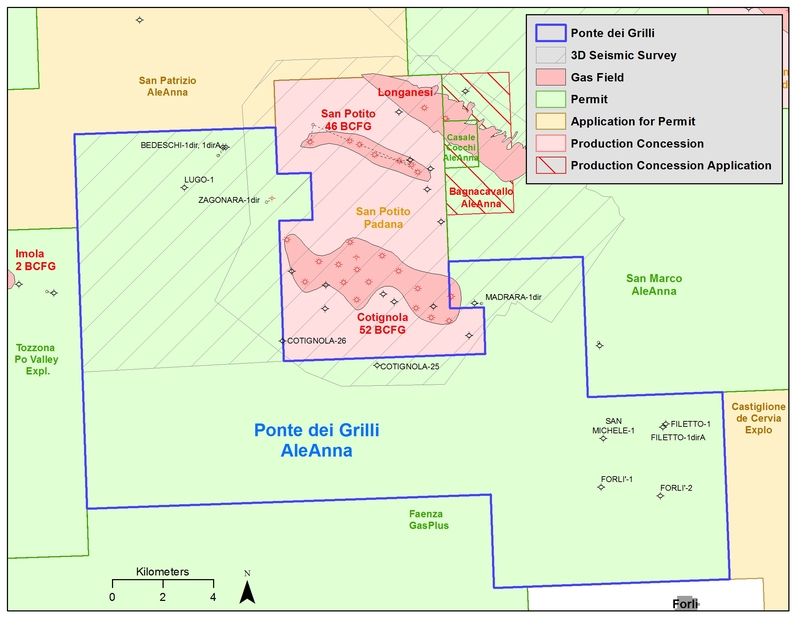 Permit surrounds three sides of the Cotignola anticline and field, and is west of the San Potito Field (onlap Porto Garibaldi play). Prior exploration has been for Pliocene & Miocene structural and stratigraphic prospects based on 2D data. AleAnna acquired a 73 km2 3D survey in 2012 over the NW corner of permit. This resulted in the identification of 9 prospects, most of them in the onlap play for Porto Corsini reservoirs. Armonia-1dir will be the first of these to be tested (permit submitted).